An intense ruby red wine with soft tannins. Blackcurrant, cherry and cherry jam flavours with woody notes from the oak barrels. A blend of 10% Cabernet Sauvignon, 10% Pinot Noir, 40% Merlot, 20% Shiraz, and 20% Feteasca Neagra go to make this fabulous wine. A classic fermentation was used to make all these wines with a minimum of 20 days fermentation on the skins. All five of the noble grape varieties used in this blend are matured in oak barrels for no less than 12 months. The winemaker has selected only the best barrels to make the Noble 5. 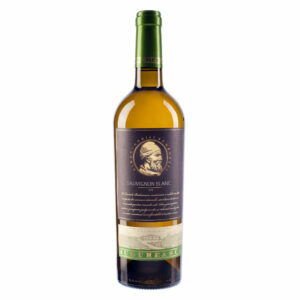 As each variety has its own characteristic it gives this wine a great complexity and nobility. It took over five months to complete this blend before the winemaker was satisfied. In a blend such as this an oenologist unites the strengths and weaknesses of one variety with the strengths and weaknesses of another. Not to mask the defects but to improve and especially create a unique wine. 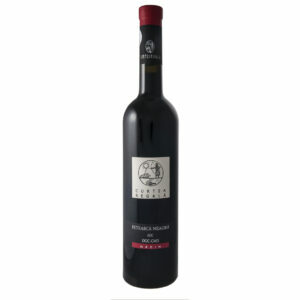 Noble 5 is an intense ruby red wine with a rare aromatic complexity and taste with soft tannins. Blackcurrant, cherry and cherry jam flavours go hand in hand with woody notes. Food match: Duck dishes, Beef and Lamb with fruit sauces.